So many choices … so little time! Selecting a ladies’ golf bag has certainly taken on new meaning! So many choices, so little time! If so desired, it would be easy for the female golfer to coordinate her golf attire with her golf bag! Ladies’ golf bag choices are too numerous to mention here but we can give you a sampling of the newest in Ogio ladies’ golf bags for 2010! First and foremost, protecting your golf clubs is the primary reason we carry golf bags … otherwise we would just throw them into a shopping bag! 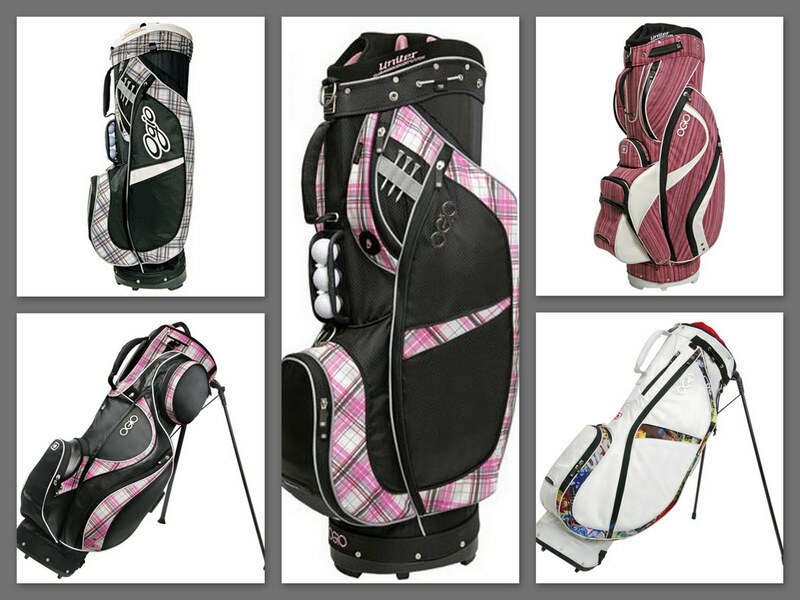 Ogio designers are among the leaders in golf bag design when creating the ladies’ golf bag. Fine craftsmanship, durability, and portability are but just a few of the many variables considered when designing the ladies’ golf bag. Each of these Ogio bags will contain full length club dividers, lift grips for easy transport, fleece lined valuables pocket, glove-putter attachment loops, umbrella containment systems, scorecard and pencil sleeve pockets, and more. To obtain more information pertaining to these ladies’ golf bags, why not visit Lori’s Golf Shoppe. Lori’s Golf Shoppe is located in Calabash, North Carolina. Lori’s carries a full line of men’s and ladies’ golf bags, coupled with a myriad of other golf items needed for the game. Lori’s Golf Shoppe is a speciality golf shoppe geared for all ages. While it’s the perfect place to shop for the female golfer, you’ll find a host of golfing items for the men in your family as well. Lori’s Golf Shoppe or Lorisgolfshoppe.com features the latest in golf apparel, club selection, golf bags, totes, lessons, clinics, on-course instruction, tournament prizes and gifts. Lori’s Golf Shoppe has it all under one roof at affordable prices and great selections. Be sure to stop by to visit Lori’s Golf Shoppe or browse on line at Lorisgolfshoppe.com. It’s the place where all Golfing Gangs Gather! This entry was posted in 19th hole golf items, Cutler ladies' golf bags, golf clinics, golf lessons, ladies golf equipment, ladies golf shoes, Ogio ladies' accessories bags by fowlerc. Bookmark the permalink.